construXnunchuX: Corrosion of Conformity (@coccabal) reunite with Pepper Keenan. @ryannoble66 dream set list. Corrosion of Conformity (@coccabal) reunite with Pepper Keenan. @ryannoble66 dream set list. 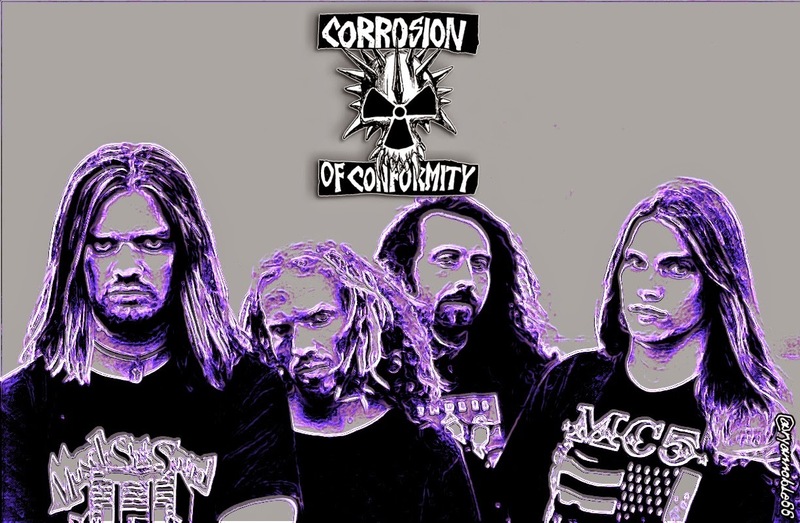 For those of you who know me, Corrosion of Conformity is my favorite band. Ever. When Pepper Keenan is the front man. Though a fan of all their albums, lineups and front men Pepper has always been the one I felt that has brought the band together. And not in a way that is necessarily better but just that this is the lineup where they make the music I appreciate the most. Many of you have put up with my social media cries for the line up to get back together, and that has finally happened! That being said, many are already putting together dream set lists. Many of you have included songs that not only Pepper didn't sing but from times he wasn't even a guitarist.. SHAME ON YOU! Without going over 18 songs, here is THE BEST POSSIBLE SET LIST! You're welcome. Also, PLEASE COME TO BARRIE, ONTARIO COC! And play this set list.. So many songs I missed because set lists are only so long. If you like what you hear hit me up and I will send you on the right path. Some of these songs made it because I had to make sure to include the "hits".